Feb 3 (AZINS) Launching a scathing attack on the Centre after a CBI team made an unsuccessfully bid to question the Kolkata Police commissioner Sunday, West Bengal Chief Minister Mamata Banerjee accused Prime Minister Narendra Modi and BJP president Amit Shah of trying to organise a coup in the state. She then staged a 'Save the Constitution' dharna in central Kolkata on Sunday night. 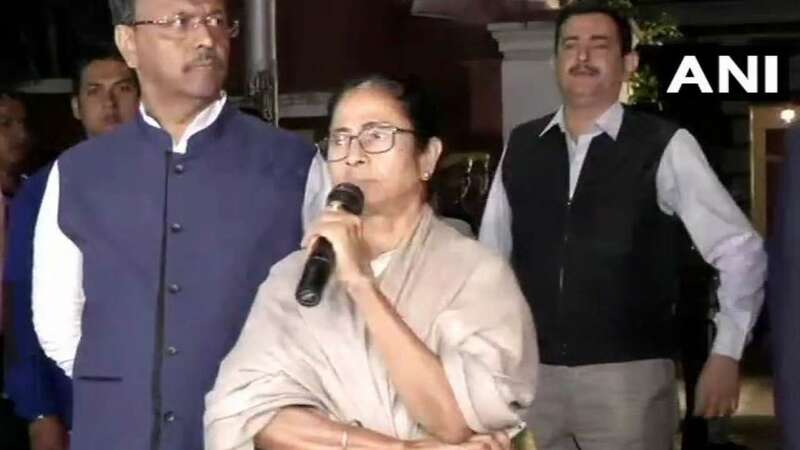 Amidst escalating tension between West Bengal Chief Minister Mamata Banerjee and the Centre, Loudon Street in central Kolkata witnessed a virtual showdown between the state police and the CBI.There were conflicting reports about some CBI officers being arrested. All five CBI officers detained by police at Shakespeare Sarani police station in Kolkata have been released, according to ANI.